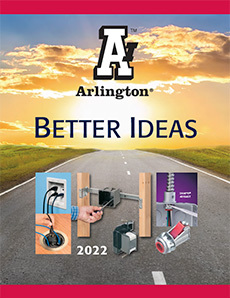 Arlington's aluminum or plastic AnyBODY™ ships as an LB, but easily converts to a T, LL, LR or C by switching the blank plates and threaded flanges to create the style you need. 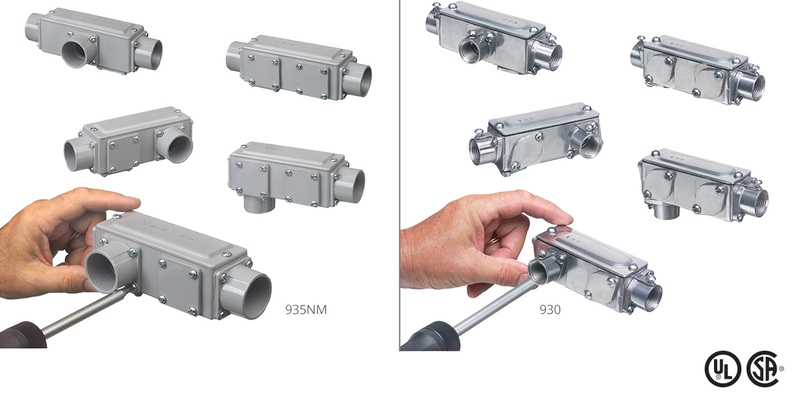 It saves you the hassle, space, and cost of stocking five different conduit bodies. 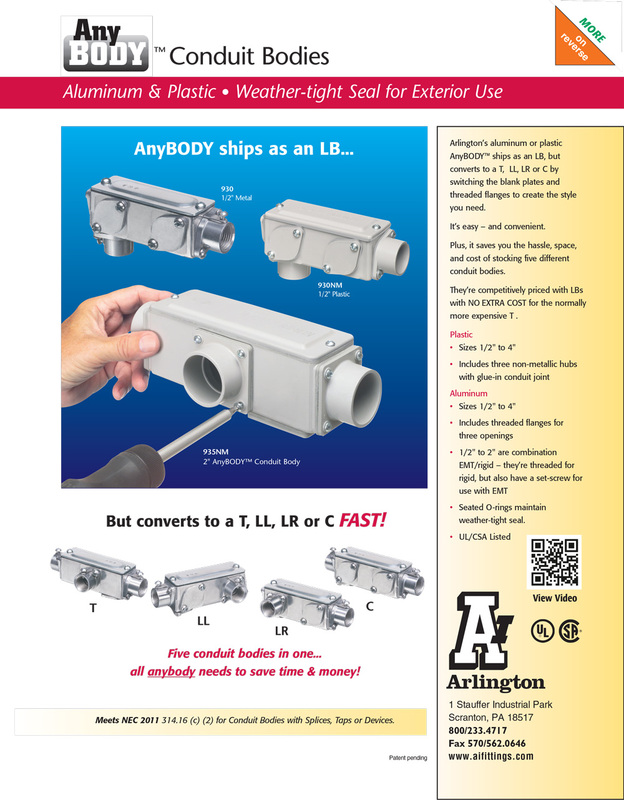 They're competitvely priced with LBs with NO EXTRA COST for the normally more expensive T.